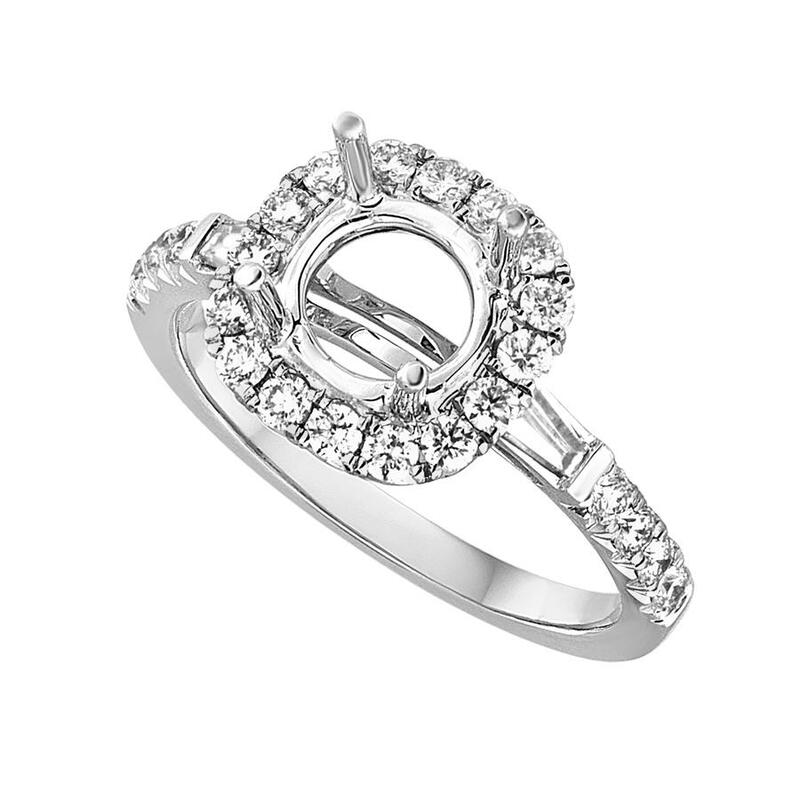 Cushion Halo Diamond Semi Mounting for Round Center with Baguette Accents. The round Diamonds go half way down the shank. This semi mounting accommodates a 6.30mm Diamond.